The demand for affordable lodging is now fiercer than ever, say industry experts, as Abu Dhabi sets its sights on welcoming 7.9 million annual tourists to the region by 2030. With an estimated 74,000 hotel rooms required to host the influx of visitors, international architectural and design practice Godwin Austen Johnson (GAJ) is seeing a shift towards more mid-market brands and price points, as it prepares to showcase a number of hospitality projects at Cityscape Abu Dhabi from April 18 to 20 at the Abu Dhabi National Exhibition Centre. With figures gathered by Abu Dhabi Tourism & Culture showing that more than 4.4 million guest arrivals were recorded in the emirate over the course of last year, an eight per cent growth over 2015, Chambers believes visitor numbers will continue to rise over 2017. “The Middle East shows consistent year-on-year growth and we are confident that the number of business and leisure travellers across the region will grow in line with booming economies, calling for more accessible quality hotels,” Chambers added. The rising number of tourists is expected to spur capital chasing opportunities for investors in non-traditional channels, such as affordable, short-term holiday rentals like Airbnb and serviced apartments, which promises growth for investors looking to diversify their portfolio by seeking high yield returns. The three-day Cityscape Abu Dhabi will showcase investment opportunities for buyers across all price points in the region as well as international developments. Architectural company Aidea will launch its first international branch at the show in a bid to bring the latest technology and design process to the market. “Abu Dhabi is set to become the next highly urbanised commercial and tourist hub in the world,” Abelardo M. Tolentino, Jr, CEO and president, Aidea said. With affordability becoming a major focus for the hospitality sector to attract tourists, a shift towards low-middle income housing in the residential market is also proving to be a priority to meet the growing demand of expatriates. 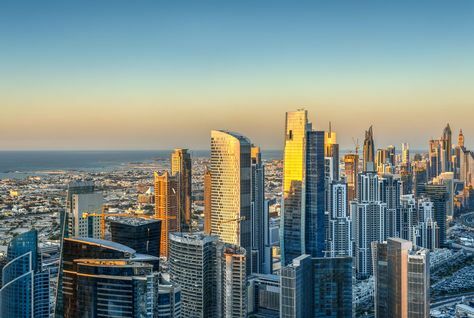 Dr Apostolos Kyriazis, assistant professor at Abu Dhabi University and speaker at this year’s Cityscape Talks, believes affordable housing is an attractive target for developers of all magnitudes. “High-end architecture will always be part of the picture but what would benefit the city most is the development of our public spaces and low to middle-income housing,” Kyriazis said. New exhibitors to the 11th edition include Al Sharq, the National Investment Corporation and Tiger Properties. Manazel Real Estate, Aldar Properties, Eagle Hills, Mubadala, RAK Properties, Tilal Properties and United Gulf Properties are some of the other participating exhibitors.